Call Mark @ 864-365-6155 for more info or to schedule a showing. 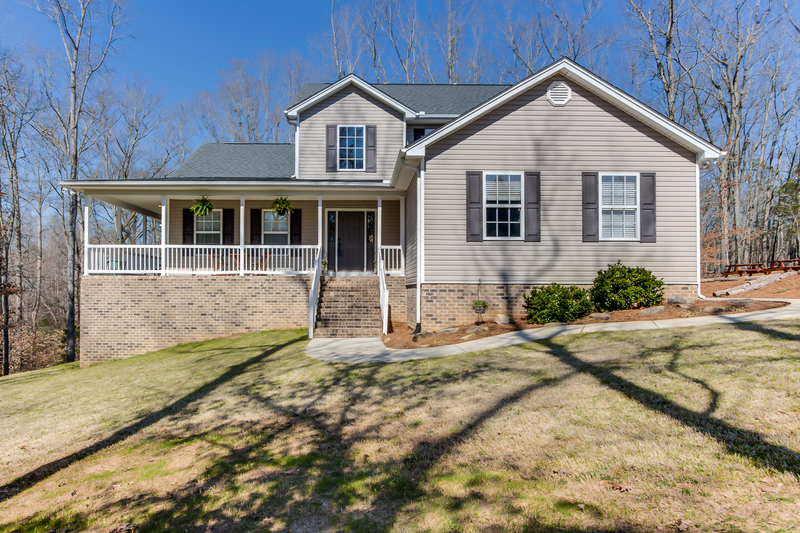 Gorgeous traditional brick home with a wrap-around porch nestled in a wooded 1-acre spot near Five Forks off Woodruff Road/Highway 14 in Simpsonville! 4,200 SQ FT with 5 Bedrooms/4.5 Baths, 2-story foyer, arched doorways and vaulted ceilings, 2-car side entry garage with storage work bench, dual HVACs and a separate Mud/Laundry Room. Warm genuine hardwoods, ceramic tile, and frieze carpeting. 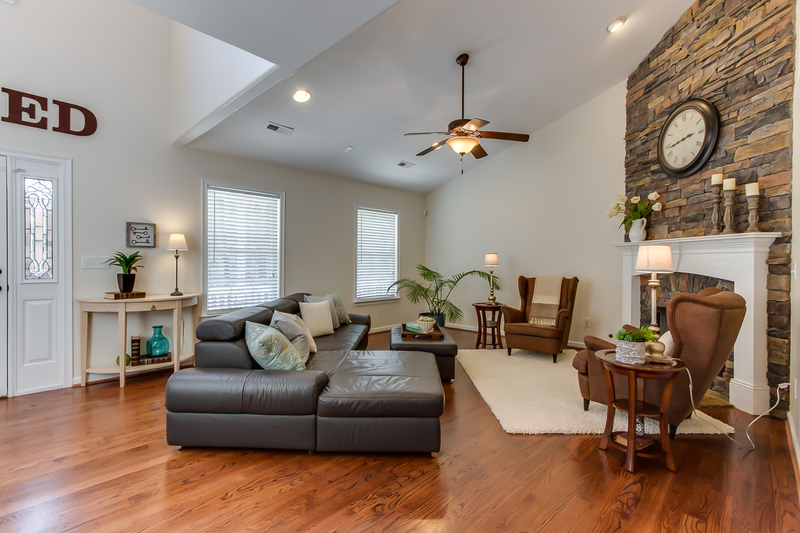 Features include: fresh designer paint colors, 2-story stone fireplace and hearth, and crown molding throughout. 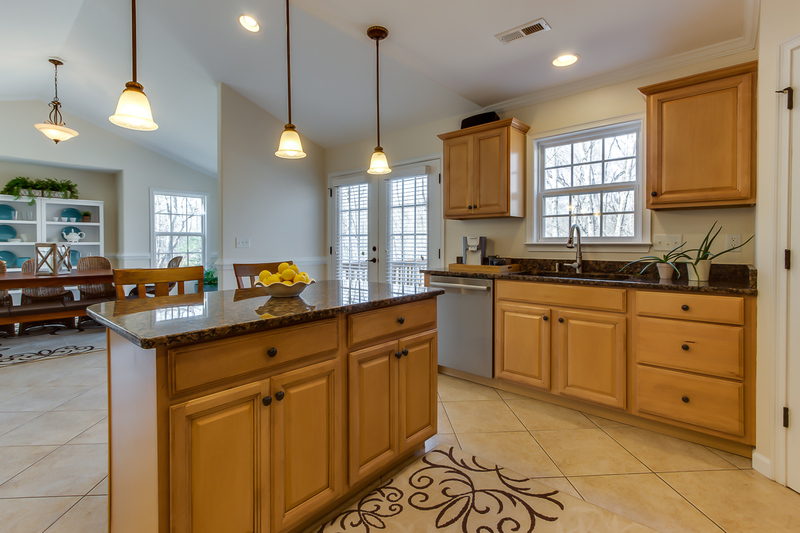 The kitchen is graced with maple cabinetry, gleaming granite, new stainless steel appliances. It also has a separate pantry closet, breakfast bar, and darling eat-in nooks. The master bedroom on the main floor offers complete privacy while opening onto the deck, and the en suite bathroom with glass block over the garden tub, separate toilet room, walk-into shower, and linen closet offer a luxurious getaway feel. Upstairs are three more roomy bedrooms, two of them share a Jack and Jill bath. There’s an additional hallway bath, and a cozy, yet open loft space. In the basement, there is 700 sq ft of play, entertain, or retreat space that leads out to the lower patio, a bedroom with walk-in closet, a flex room that could be used for an office or storage, and yet another full bath. This home offers so much flexibility! The deck overlooks a well-manicured yard and provides a place to enjoy coffee in the morning or unwind and star-gaze in the evenings. The acreage also includes a flat upper area with plenty of room for kids to play! Incredibly quaint, quiet, and pet-friendly neighborhood, with NO HOA. The home you’ve been waiting for has finally been listed. Come meet your new home, it will not last long! The thing I love about Simpsonville are that you have everything you need close by including a brand new Library. Our neighborhood is a perfect, beautiful and quiet place for raising a family, but still close to shopping and schools. There are a ton of restaurants to choose from and we absolutely love the Ice Cream Station in downtown Simpsonville. You have every single grocery store you can imagine. We immediately fell in love with this partly-wooded neighborhood with 1+ acre lots in two cul-de-sacs. The Greenville area is a wonderful place to live in SC, lots of economic growth and abundance of jobs in all areas and it is one of the most desired places to retire in the US due to the low taxes and warm climate. Of course, we all like different things; we enjoy weekend trips to the beach and going hiking in the mountains. Our utility costs are better than we expected. No water bill due to the well. Almost every light fixture is updated with energy efficient LED lights.